MY CAPITAL TIME is a yearly column about my yearly trips to Washington, DC. You can order a hard copy by sending me a self-addressed, stamped, legal-sized envelope (SASE) if in the USA. For those of you outside of the USA but in North America, please send a self-addressed, big-sized envelope (SAE) and one International Reply Coupon (IRC). If you are overseas, send me two IRCs with your SAE. (1) The Folger Shakespeare Library--the world’s largest collection of William Shakespeare’s writings also includes an Elizabethan theater and exhibits in the Great Hall. 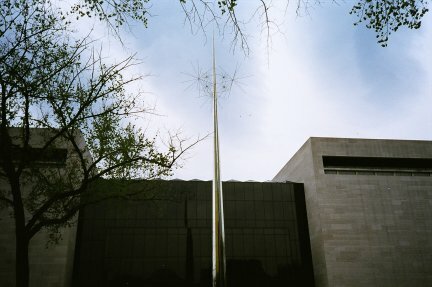 (2) The National Air and Space Museum--the most popular attraction in Washington, DC, and the most visited museum in the world covers the history of air and space travel from ballooning in the late 18th century to speculation about future air and space travel. 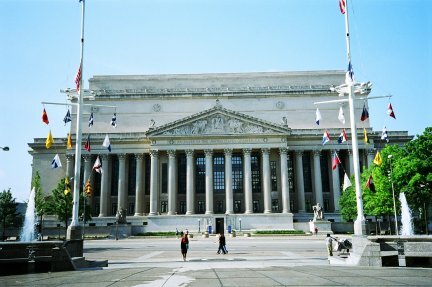 (3) The National Archives--where the USA’s most treasured documents and other recordings are displayed in this Neoclassical building. (4) Old Town Alexandria, Virginia--see George Washington’s hometown with its streets of 18th-century buildings and the place where he ate and danced.